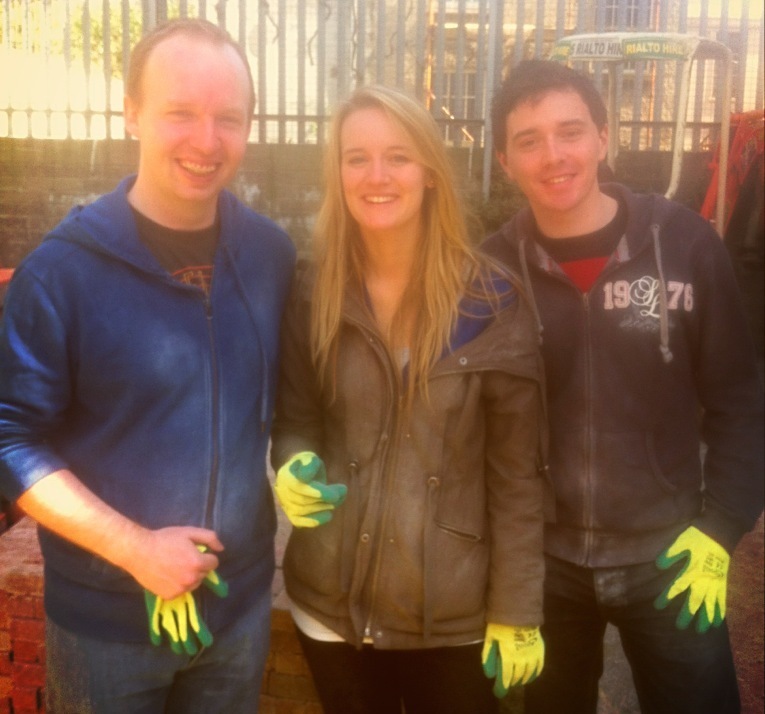 I was delighted to join the IUSA and the US Embassy Youth Council in helping with the ‘Garden of Hope’ project in the Simon Community centre on Sean McDermott street over the weekend. I joined volunteers from a number of backgrounds – locals, Irish-US Alumni members, members of the US Embassy Youth Council as well as some trained professionals – all came together to do the lifting, moving, digging, chopping and such that are part and parcel of putting a garden together from scratch. After Diarmuid Gavin gave the orders, everybody got to work on their own tasks and – all told – it was a fantastically efficient process. The work of the Simon Community itself can’t be underestimated, and I was glad to play a role in helping them – I hope to play a further role in the future but, for now, I look forward to seeing this project progress.